Announcements from University Archives & Special Collections. 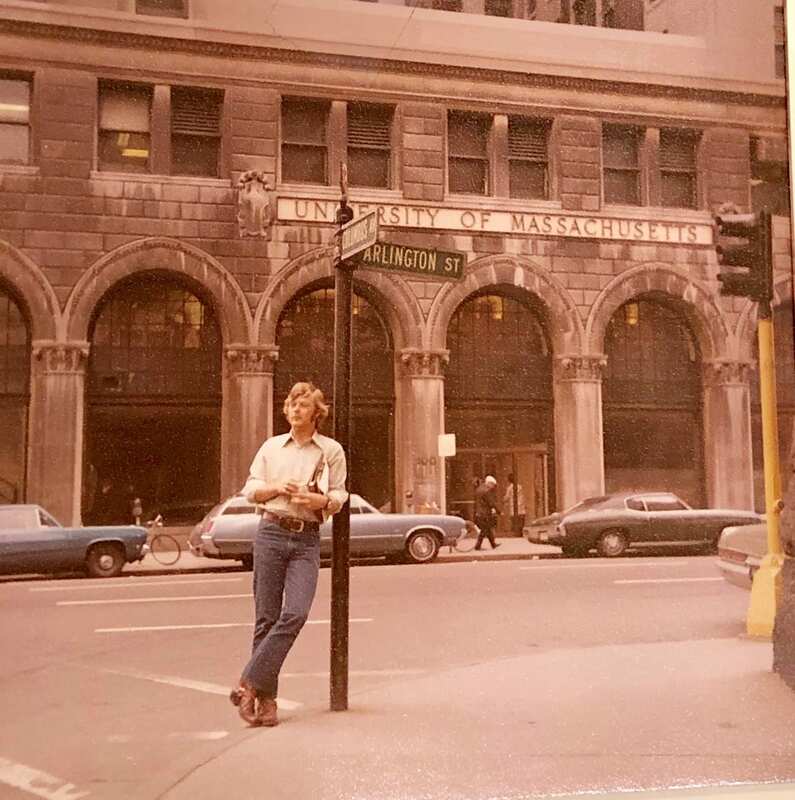 University Archives & Special Collections (UASC) in the Joseph P. Healey Library at the University of Massachusetts Boston is pleased to announce that six collections of previously unavailable archival material are now open for research. UMass Boston’s original campus at Park Square in downtown Boston, circa 1964-1974. From UAPHO-0001, box 2, folder 34. This is the second in a series of posts to announce newly available collections, toward the goal of making all of UASC’s collections, both processed and unprocessed, open for research. Collections that have not been processed, or that are minimally processed, will be made available upon request to researchers in approximately two to three weeks, depending on the size and complexity of the collection. Contact library.archives@umb.edu for more information. University of Massachusetts Boston. Office of University Events and Ceremonies records, 1965-2016: Materials include convocation and commencement programs, invitations, and photographs. The programs include the order of events, names of degrees, honorary degrees, certificates, award recipients, and commencement facts and acknowledgements. Publications Office records, 1979-1991: The Publications Office produced the majority of the university’s publications. On August 1, 1998, Chancellor Sherry H. Penney conducted reorganization of several departments at the administrative level to strengthen communication and enrollment efforts. This reorganization created one unit that was responsible for enrollment and communication services. 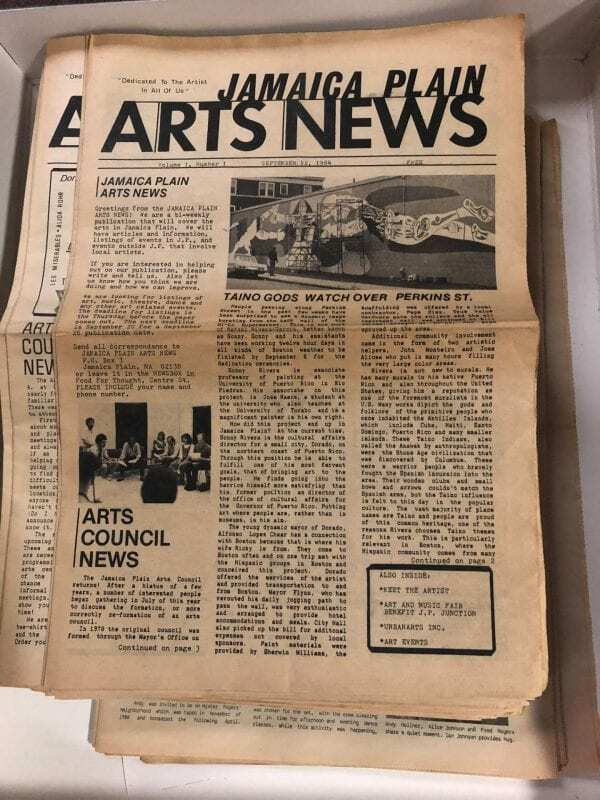 Materials consist of files kept by regular staff and include receipts and correspondence for creating publications such as catalogs, invitations, and posters for various departments across campus. Some of these publications can be found within this collection. University of Massachusetts Boston historical photographs, 1964-2009: These photographs document the history of the University of Massachusetts Boston from its founding in 1964 through 2009. Topics include the planning and establishment of the campus, campus construction, the founding convocation, commencements, student life, campus landscapes, campus building interiors, and campus events. Formats include photographs, slides, negatives, DVDs, CDs, and VHS tapes. University of Massachusetts Boston. Government Relations and Public Affairs Office, 1982-2005: The Division of Government Relations and Public Affairs serves as the primary point of contact and source of information about the University of Massachusetts Boston, university events, and achievements. These photographs, negatives and CDs in the collection document the activities of the division. University of Massachusetts Boston. Faculty Senate, 1967-1984: The Faculty Senate is the governing body of the College of Liberal Arts (CLA). Its primary task is to attend to collegiate matters, and its actions and views are to be considered the official actions and views of the college. These records document the activities of the Faculty Senate. Materials include by-laws, minutes, reports, correspondence and notes. Materials on various university committees can also be found in the collection. University of Massachusetts Boston. Chemistry Department records, 1971-2012, bulk 1990-2005: These records document the activities of the Chemistry Department at the University of Massachusetts Boston. Materials consist of files kept by regular staff and faculty, and include semester highlights, annual reports, program proposals, a proposal for the Science College, and correspondence. The photographs, stories, and videos gathered at the Chinese American Experiences Mass. Memories Road Show are now available online for research. Organized by the Chinese Historical Society of New England (CHSNE), the event was held at the Pao Arts Center in Boston’s Chinatown neighborhood on Saturday, June 2, 2018. Collaborating partners included the Greater Boston Chinese Cultural Association, the Boston Chinatown Neighborhood Center, Greater Malden Asian American Community Coalition, and Quincy Asian Resources, Inc. The event was made possible in part with support from CHSNE’s 2018 year-round sponsors–Tufts Medical Center, South Cove Community Health Center, and the National Park Service–as well as generous donations from Jook Sing Cafe, Crave-Mad for Chicken, and MEM Tea Imports. Karen Yu and Eugenia Beh volunteered at the Chinese American Experiences Mass. Memories Road Show on June 2, 2018. 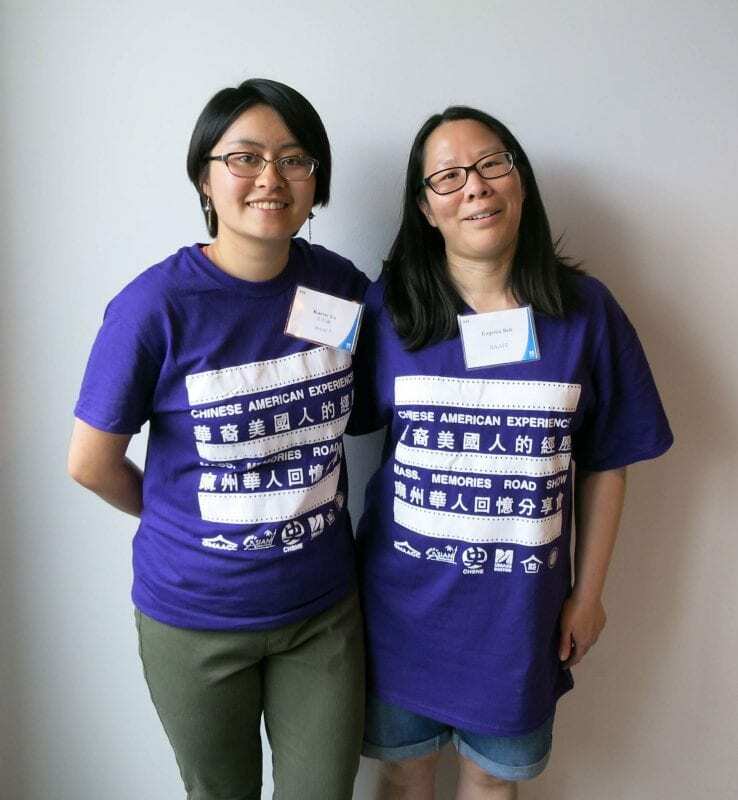 More than two dozen volunteers, including eight Chinese language translators, joined a team of UMass Boston staff members, public history graduate students, and “Roadies” to welcome 130 adults and children from the greater Boston area to the event. ‘Edwin Keyseu Chin family of Charlestown, Massachusetts, 1934. This photo was taken in a studio in Boston, Massachusetts. My dad Edwin Keyseu Chin, 30, and my mom Mary Gee, 24, my oldest sister Helen, 1.5, and my oldest brother Tom, 6 months. This is two years after mom came to Boston from Zoishan, China and married Dad. They operated a hand laundry in Charlestown, Massachusetts near City Square in the shadow of the elevated train tracks. Charlestown at the time was mostly Irish. Pictured, from back to front, left to right: my father Edwin Keyseu Chin, my mother Mary Gee Chin, my sister Helen Chin, and my brother Tom Chin.’ Contributor: David Chin. Participants shared over 200 photographs and videos documenting their connections to Chinese American communities in Massachusetts and beyond. 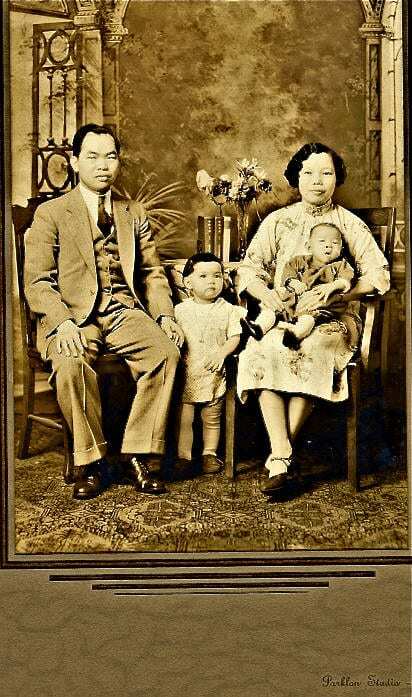 A number of images depict family members before they immigrated from China to the United States and the majority of the materials document the homes, businesses, and community organizations that Chinese American families established in the greater Boston area in the 20th century. ‘My father and his staff, 1940. My father owned the Jade Restaurant in Malden. He purchased it during WWII and expanded it. He had several wait staff and kitchen staff. Pictured, from left to right: Maude McKenzie, the wait staff at Jade Restaurant, my father Dun Shai Jeong. Location: Jade Restaurant.’ Contributor: Diana Jeong. Domestic interiors and street scenes of Boston’s Chinatown neighborhood are included in the collection. 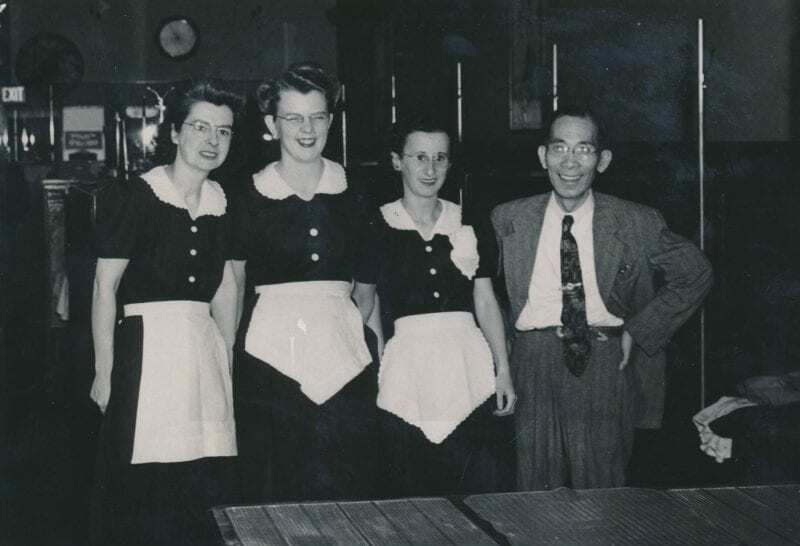 Informal snapshots and formal family portraits depict Chinese Americans living and working in surrounding cities such as Malden and Quincy, as well as suburban towns such as Wayland and Lexington. ‘Inside 116 Hudson Street circa 1954. 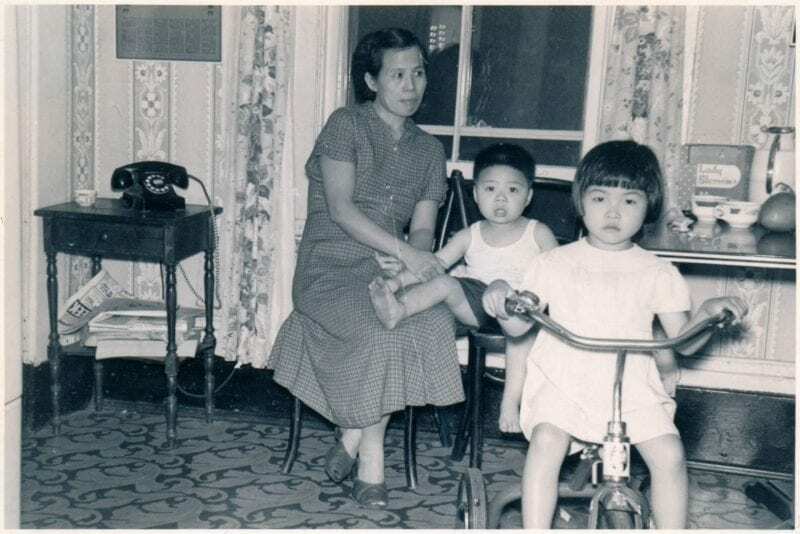 This was taken inside 116 Hudson Street, 2nd floor, in the 1950s when Chinese-American (Taishanese American) families formed for the first time. Settling on Hudson Street until Hudson Street was demolished in 1963 for the Southeast Expressway ramp. It was a traumatic displacement for the immigrants who had been displaced through immigration, revolution, and war. Pictured, from left to right: May Soon Yee, Albert Yee, and Cynthia Yee.’ Contributor: Cynthia Yee. Some contributors further shared stories of adoption by American parents and their experiences forging community connections among Asian adoptees. 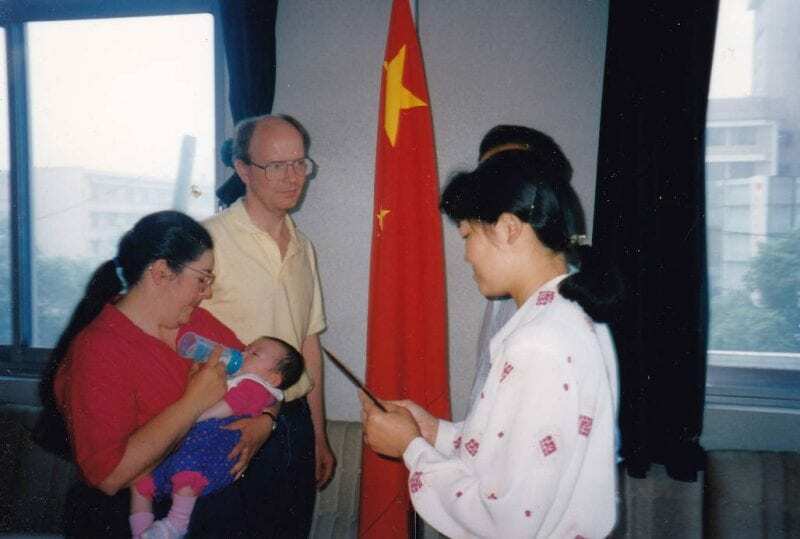 ‘Moment of conception, official adoption ceremony, May 1995. This photo depicts the official moment when I was adopted. I am being held and fed a bottle as a seven-month year old baby by my mom, Marjorie, while my dad, Doug, looks on. Two government officials are holding some certificate. A Chinese flag is in the background, representing the place and national affiliation. I would like to know the exact location, date, time, but I just didn’t ask my parents this morning.’ Contributor: Laura Xiang Williams. The collection documents participants’ efforts to preserve Chinese identity and cultural heritage as well as their contributions to American institutions and traditions. Many contributors also emphasized memories of their personal accomplishments and those of their children finding success in the United States through educational and professional achievements. ‘Modern take on traditional Chinese dress. 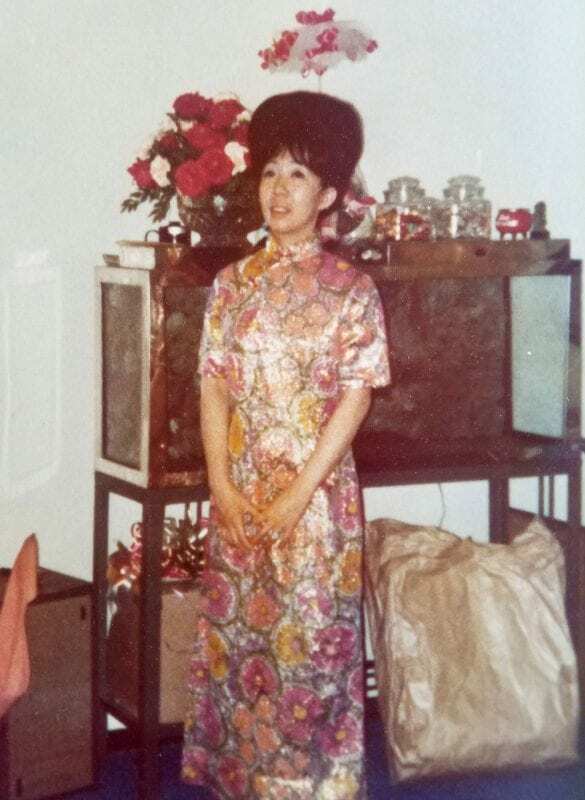 My grandmother Mary Soo Hoo is wearing a traditional Chinese dress, ‘cheongsam’, that has been modernized to the 1970s.’ Contributor: Maliya Soo Hoo. Browse the Chinese American Experiences Mass. Memories Road Show collection. 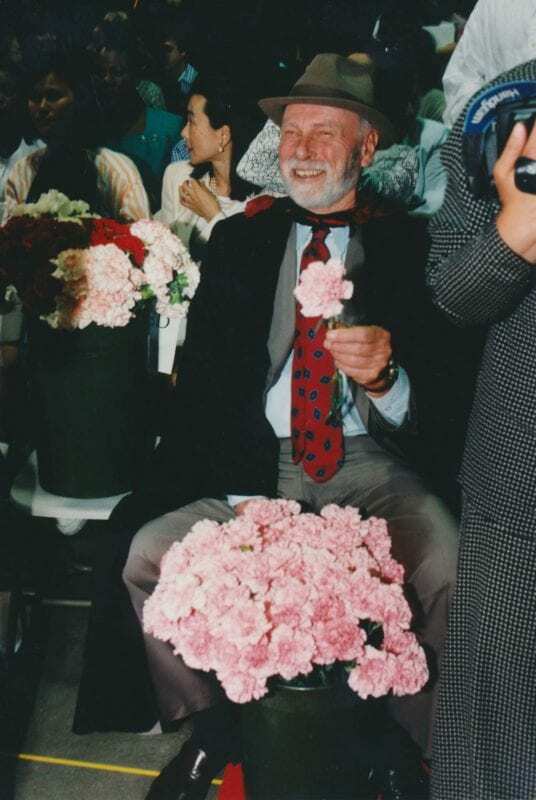 Professor Duncan Nelson handing out carnations at the 1996 Commencement. Describing his career in 2015, UMass Boston’s Professor Duncan Nelson said: “I’m in the English department. I’ve been here since 1967. I came from two years at Harvard, three years at MIT, and then came home. This is the greatest school I could ever want to teach at.” Professor Nelson earned his BA at Wesleyan University in 1952 and his PhD at Harvard University in 1964. One of UMass Boston’s earliest faculty members, he taught at the university until his retirement in 2016. Professor Nelson passed away on December 20, 2018. Known as UMass Boston’s “Poet Laureate,” Professor Nelson wrote more than 1,000 odes commemorating university events, such as building groundbreakings and openings, commencement breakfasts, chancellor farewell parties, and Years of Service galas, which he often wrote and delivered on the spot. Professor Nelson appeared on the cover of Lux, UMass Boston’s student magazine, in 2008. In 2010, he received the university’s Shining Beacon Award. Duncan Nelson at the UMass Boston Mass. Memories Road Show: Video Interview from UMass Boston Archives on Vimeo. That match with what Swift, Pope, and Dryden hath writ! 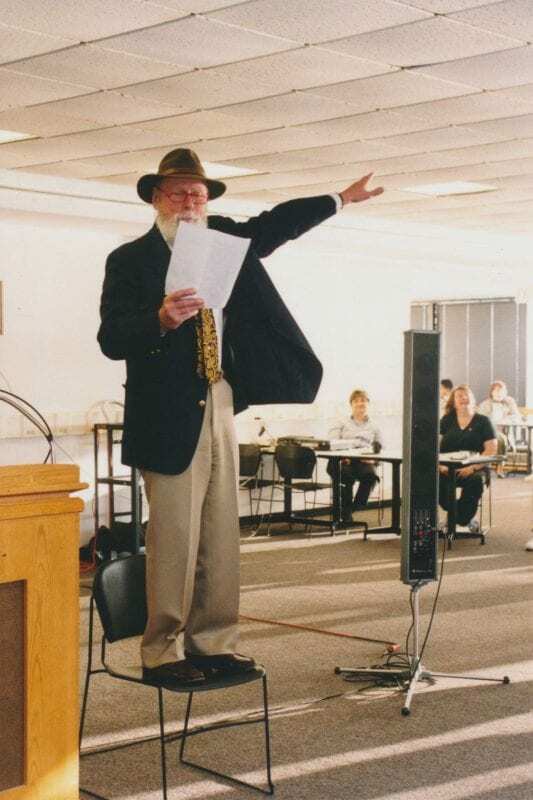 Professor Duncan Nelson reciting a poem at the 1999 Years of Service event. Contact library.archives@umb.edu for more information about Professor Nelson’s collection. View digitized historic university photographs of Professor Nelson, his contributions to the Mass. Memories Road Show, or a video of his ode “UMass Boston Runs on Duncan (Nelson).” You can also listen to and read a transcription of a 1998 oral history interview with Professor Nelson. An integral part of UMass Boston’s history, Professor Nelson was beloved on this campus for many years. He will be greatly missed. The 42 videos collected at the “Show ‘Em Whatcha Got” Mass. Memories Road Show: The Hip-Hop Edition are available online now. Held at the Boston Public Library in May, the event was a collaboration between UMass Boston’s Healey Library and the Boston Public Library. It was part of a larger project called “Local Rappers, DJs, B-Boys, and Graff: Documenting the Massachusetts Hip-Hop Community from the 1970s to the present” and was supported by a Common Heritage grant from the National Endowment for the Humanities: Exploring the Human Endeavor and the UMass President’s Creative Economy Initiatives Fund. Learn more about this project here. Contributors shared memories of their roots in the Boston hip-hop scene and launching a wide range of careers as visual artists, dancers, musicians, and producers. Many artists described their experiences creating original music and choreography, touring local, national and international stages, and producing events. Local success stories include major performing and record contracts which brought widespread recognition to Boston hip-hop and inspired up-and-coming artists. The videos in the collection also testify to the significant contributions of Boston hip-hop artists in the development of innovative MCing, DJing, engineering and production techniques and technologies. This pioneering work led to cutting-edge recordings and the founding of independent Boston-based hip-hop record labels, which gained global audiences and recognition. Contributors described the importance of historic albums and recent discs to the hip-hop legacy. Additionally, the video collection documents contributors’ stories about launching a number of Boston-area radio programs such as Hip-Hope Nation and TV shows such as The Somerville Line, which shared local hip-hop music and culture with wider regional and national audiences. A few of the videos in the collection further highlight contributors’ experiences launching projects and founding organizations to use music as a vehicle for social change. For example, the Loop Lab engages Boston youth-at-risk in training programs that address the opportunity gap, by teaching audio and video production skills. Other contributors have started peace-building initiatives to end violence through hip-hop and produced hip-hop performances that explore social justice and other current political issues. All of these initiatives illustrate how members of Boston’s hip-hop community have shaped a local music scene that communicates messages of hope for future generations. Note to contributors: We need your help to finish processing this collection! If you see something incorrect or misspelled–names and spellings of individuals and performing groups, for example–we want to fix it. Please email carolyn.goldstein@umb.edu with the details and our team will make the corrections as soon as we can. Thank you! Any views, findings, conclusions, or recommendations in this program do not necessarily express those of the National Endowment of the Humanities. If you have questions about the Massachusetts Hip-Hop Archive, please contact an archivist at UMass Boston, connect with the project on Facebook, or click here to explore the collections and learn how you can contribute materials.